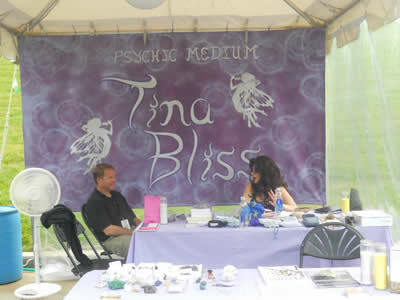 Tina Bliss is a multi-intuitive psychic medium who works with the angelic realm, spirit guides, as well as the ascended masters, using her gifts as a spiritual physical medium empath, clairvoyant, clairsentient, and clairaudient. She will assist you with accurate answers, prediction of your concerns as far as love and relationships , life questions, financial matters, deceased loved ones, animal communication, connecting you to your spirit guides and as well as your own intuitive soul path. When embracing a reading with Tina it is not uncommon for her approach to be direct with empathy and compassion your reading delivery is for your highest good. Tina has had 3 near death experiences. Throughout the past 54 years which have happened all around Easter time these near death experiences are significant for death and rebirth. They have truly impacted and created a spiritual soul path for her. Her goal in life is to walk in truth and balance passing along all of her spiritual teachings Tina has also developed her own energy healing, arching angel light. She is a committed mentor and teacher of the healing arts they consist of chakra balancing, automatic writing, medium ship, intuitive workshops, reiki, arching angel light, shamanism, and intuitive mentor-ship.